Chongqing City is one of the cities in the People’s Republic of China under the direct control of the central government. It has become the development base for China’s western region, and is also a strategic transportation point. Development in Chongqing is proceeding at a remarkable pace, and preparation of the infrastructure including roads is advancing. Meanwhile, maintenance of the existing infrastructure is also being implemented at the same time. 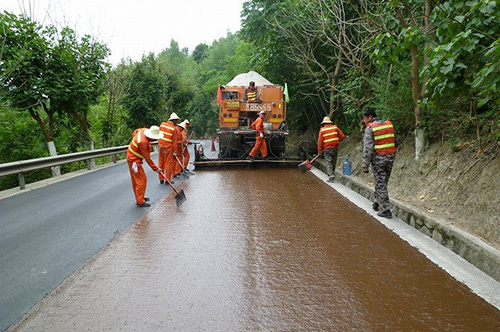 The company manufactures and sells paving materials to Chongqing City and its surrounding areas. In addition, the company is working on increasing name recognition by introducing new technologies from Japan, while actively selling new products. 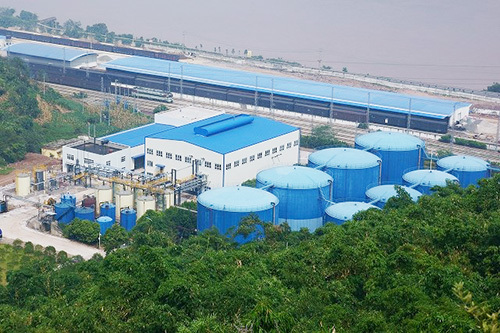 : Chongqing Transportation Materials Group Co., Ltd.
Chongqing Bochuang Highway Maintenance Co., Ltd.